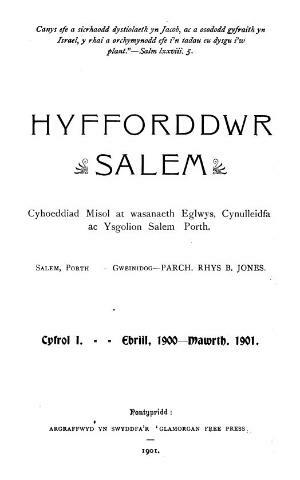 A monthly Welsh language religious periodical serving the congregation and Sunday school of Salem Baptist chapel, Porth, Rhondda. The periodical's main contents were religious articles, Sunday school lessons and chapel news. The periodical was edited by Rhys Bevan Jones (1869-1933).